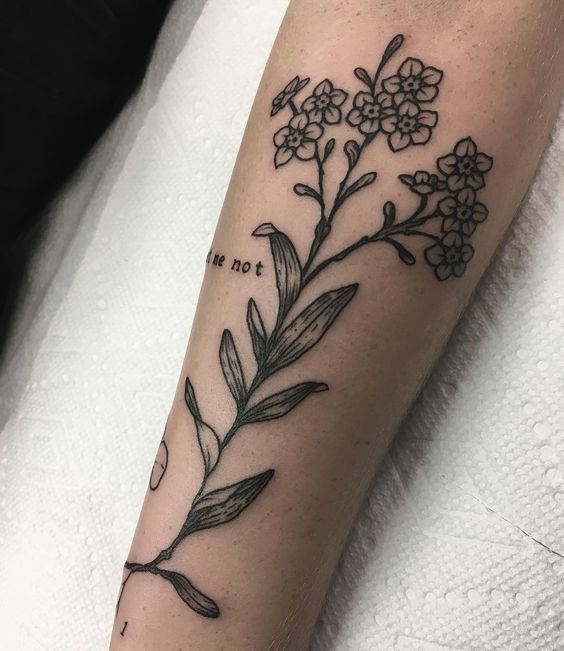 Forget me not tattoo has become quite a favorite design in the past few years. 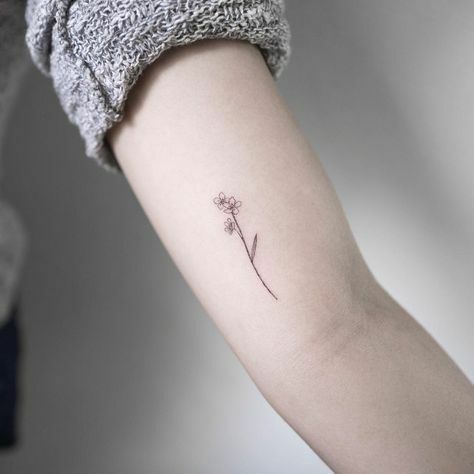 This little flower is famous not only for its beauty but also for its profound symbolical meaning. It often appears together with other symbols which embodies freedom. 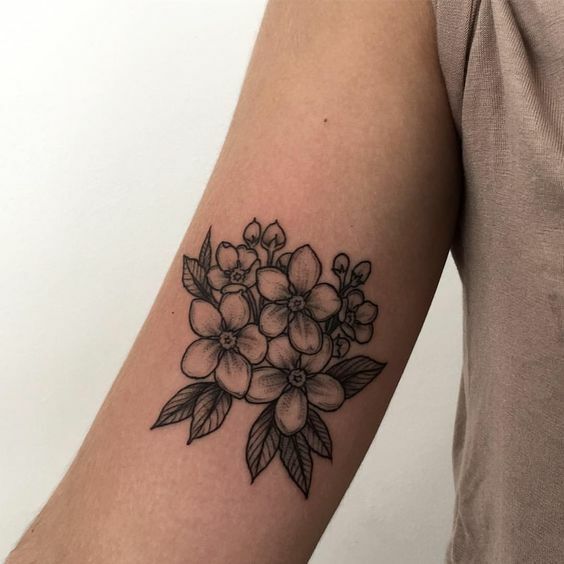 If you like this beautiful flower and are thinking of getting a tattoo of it, then keep reading. 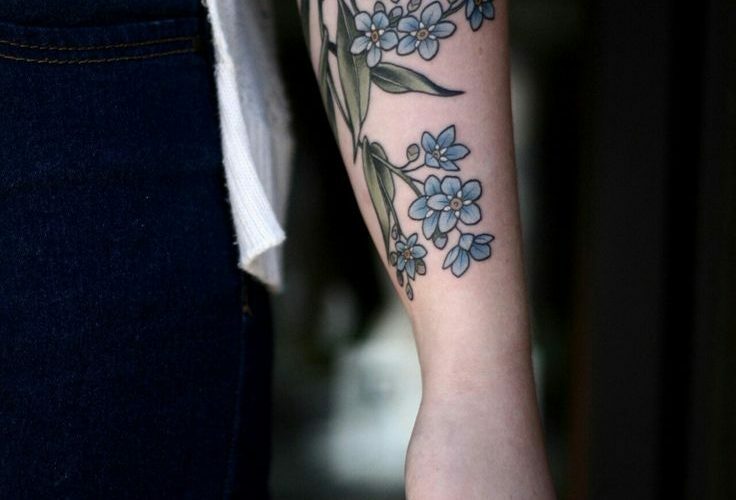 In this article, we are going to look at the meaning of the forget me not tattoo. 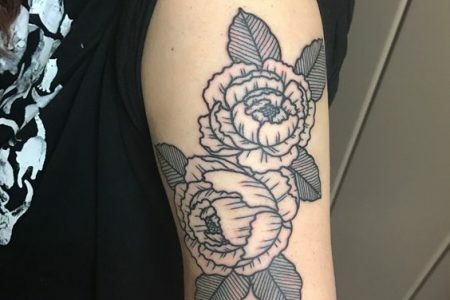 And as always, we have also selected the most beautiful tattoo ideas at the end of the article. But let’s start at the beginning and find out the history and legend of this beautiful flower. Meanwhile, a Greek legend tells a very similar story. When God finished coloring all the flowers, he heard a whisper ‘Forget me not!’. Since the God already used all the colors, he only had a small amount of pale blue. However, the Forget-me-not was glad that she drew God’s attention and was happy with the color. In the middle ages, ladies often wore forget-me-nots and believed that their lovers wouldn’t forget them. However, the very first time when this flower appeared as a symbol of remembrance, was the year of 1916 in Liverpool, England. After WWI, the city of Liverpool has lost 600 people. To honor their deaths, people organized a charity campaign which started with a football match between Liverpool FC and Everton FC. During that week, people bought blue flags with forget-me-not flowers on them. City donated all the money from flag sales to war orphans and widows. 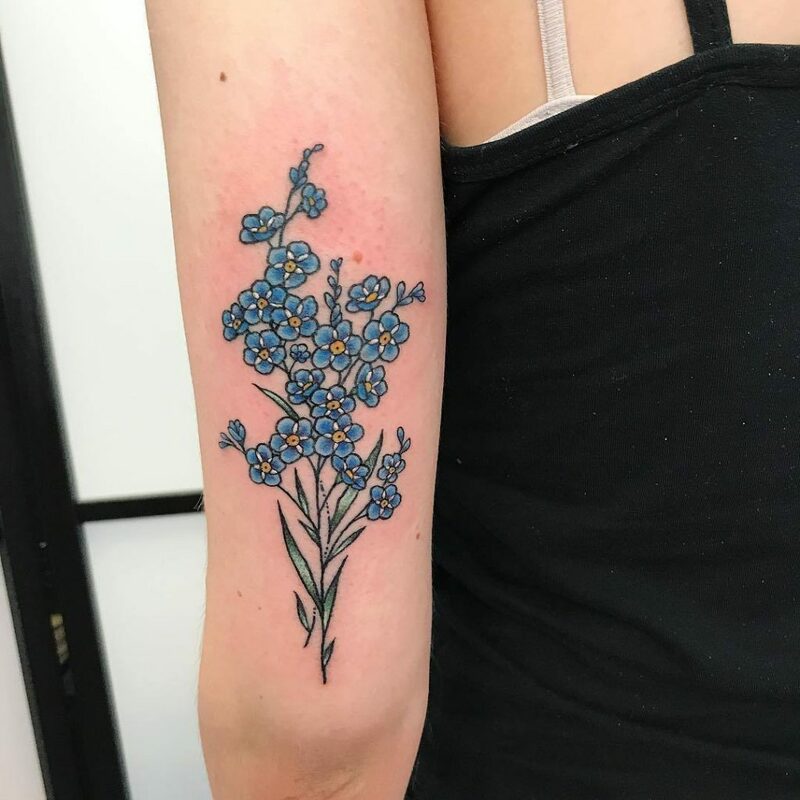 In 1917, Newfoundland also used forget-me-not as a symbol of remembrance of those who died in the battle of Somme, in France during WWI. It was a very sad day for all Newfoundlanders because almost every person knew someone who had died. To soothe the sorrow, people started pinning the forget-me-nots onto their clothes. This beautiful tradition remains until today every year on July 1st. Later, in 1921, inspired by the Newfoundland, the British created another and more famous symbol – red poppy. They wanted to remind to the world of the people who have died during the WWI and to honor the war veterans. Many people mistakenly think that the red poppy inspired the forget me not, but as we can see – it’s the opposite. 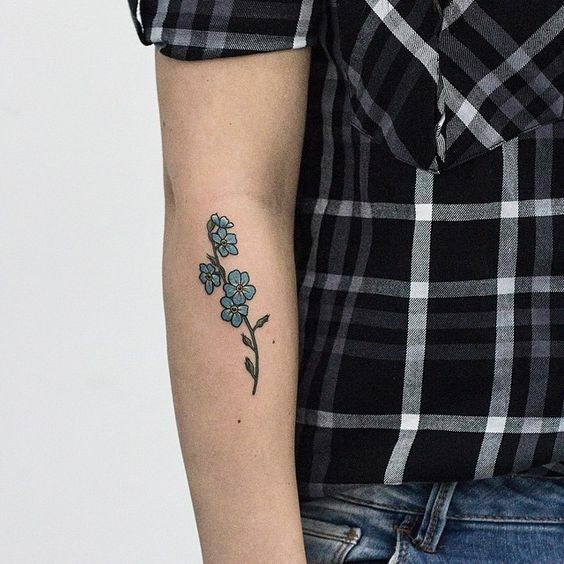 In 2015, forget-me-not became the primary symbol of the 100th anniversary of the Armenian Genocide. It reminded the whole world of purposefully terrible attempt to kill the entire nation. This brutal crime later ‘inspired’ the Genocide of the Jews. The blue flower also became a symbol of Germany masons. In 1926, they started using the forget-me-not as a symbol that encouraged the charity for the poor. Later, when the nazi’s established their regime, it also became a symbol of recognition which allowed the masons to recognize each other. Finally, after the WWII, it became a symbol that reminded the victims of the Nazi regime. 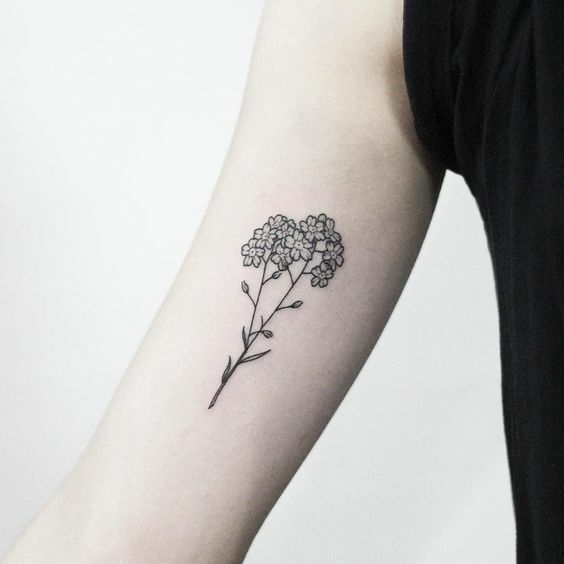 From the legend of the creation of this flower, we can see its symbolic meaning. Forget me not – a beautiful and harmless creature relied entirely on her faith and asked God to name her. She hoped and believed that he would hear her and she achieved her goal. 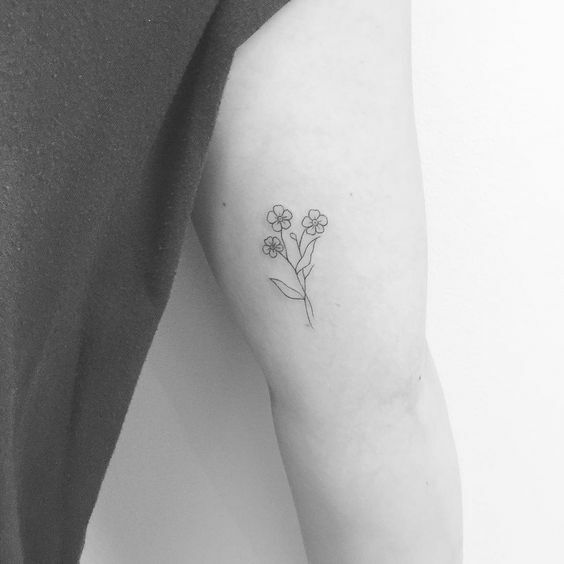 Forget-me-not didn’t want to be forgotten, and she became an unforgettable forever. So, no matter how small and weak you are, if you have a strong faith and a pure heart, you will achieve anything. 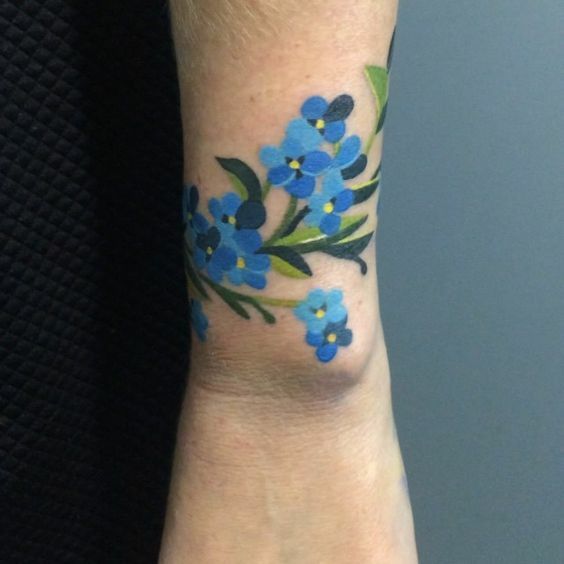 A tattoo of a forget me not is perfect for those who have physical disorders or doesn’t feel secure from the outside. Also, no matter your religion, it’s a beautiful symbol of faith which unites different confessions into one purpose – love. 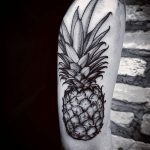 Another meaning of this tattoo comes from the name itself. No matter how bad the things are or how weak we feel, we must not forget that with a strong faith we will succeed. 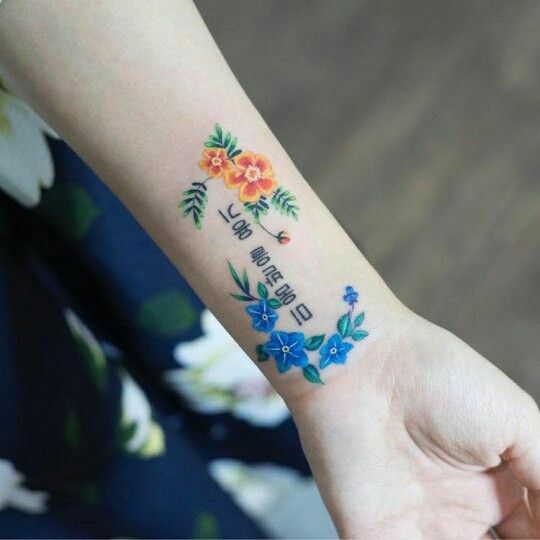 So, a forget-me-not tattoo will always remind you to believe that everything is going to be okay. There are many beautiful flowers with deep meanings. 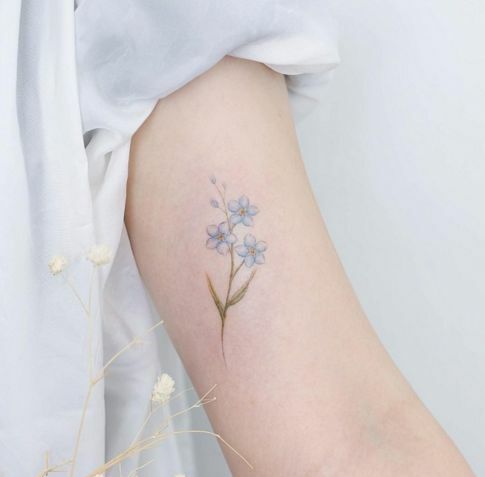 But the forget-me-not has something special about it. 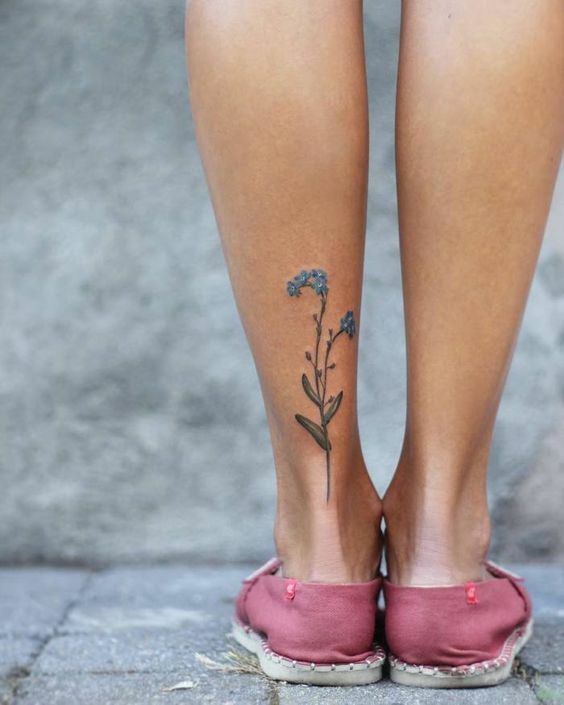 Take a look at our selection of the best Forget-me-not tattoos. It doesn’t matter whether you’re a man or a woman – this flower is suitable for all. 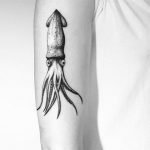 Due to the small size, it will look great almost anywhere on your body. If we have missed any important aspect – let us know in the comments below.